I love word games, yes there’s a time when Scrabble gave me such satisfaction, but opposite to others. So no great Scrabble moment there. Then word games came to mobile, what a time killer. But sadly I did not really commit to it. Right after I jumped into the board game hobby, word games found a place in my heart, though there are only so few. First, there is Dixit (shamefully this is not a word game at all), a family game that centers in a story-telling element. Player trying to guess a card that described the story or clues given and in the same time choose their card that really resembles so other players can guess theirs. The hardest part of Dixit is of course how to find the perfect story that you can share to others without revealing so much. Aside from good and amazing illustrations from Marie Cardouat, this family game suffers from this story-telling problem that leads to player giving only a single word as a clue. Then Codenames came out recently with such a bang. The game took us by amazement until we have no words left to say. In Codenames, players play in te which one play the role of master spy and others are the spy agents trying to figure out which secret / codenames that their team have by code-breaking the hint their spy master provide. This is damn fun and enjoyable, I was hooked instantly. But then, a Japanese game from Japanese game designer came out and show a new approach to this kind of genre. 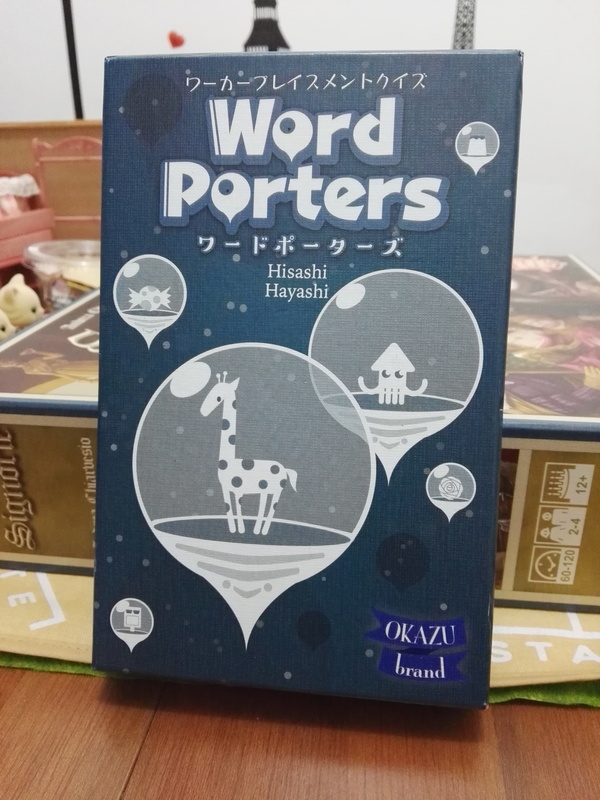 The game is Word Porters by Hisashi Hayashi from Okazu Brand. So what differentiate this game from others? Actually this game really similar like Codenames and Dixit combined. 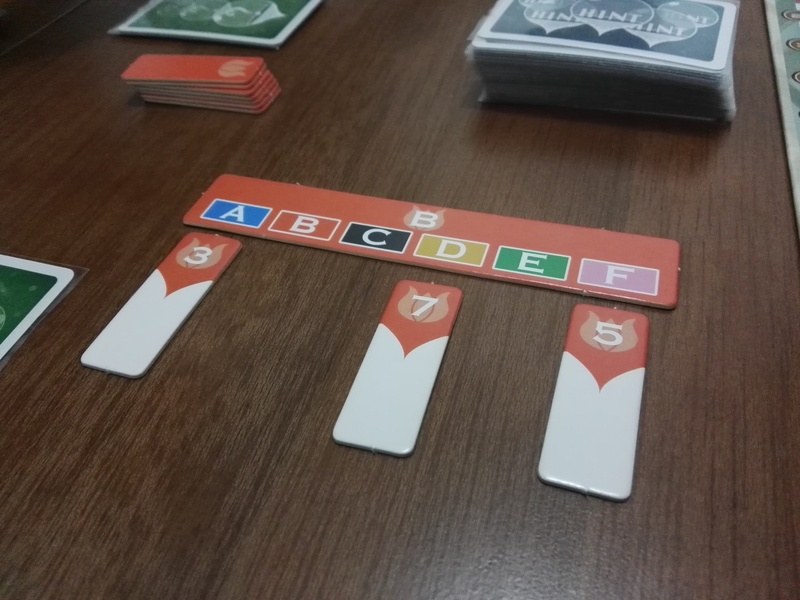 There are word cards (as seen in Codenames) laid out in the table (10 to be exact) and hint cards by categories randomly drawn based on the number of players in the game. 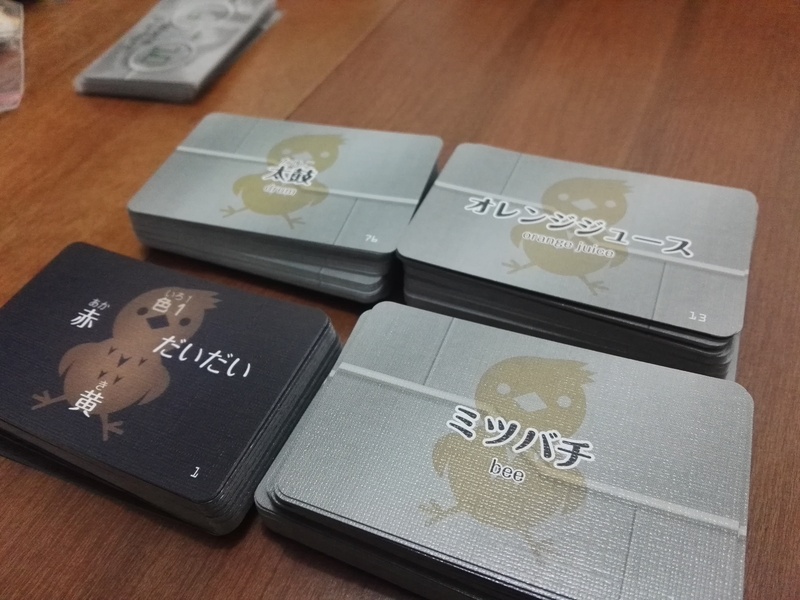 Players will then randomly given a number card (secretly) that tells what word they have from the table. With this in mind they will take turns to the best they can assign tokens to hint cards so others can guess the word of that players. The game can be played with 3 to 7 players. Nice player count for family or party game with friends. It also plays in 30-45 minutes, so not long to get another shot at it after first play. The game is on Japanese, but not to worry, they provide English paste-ups to download. My biggest issue is on the word cards, they have English translation but its too small, hard to read from across the table. They could have been larger, definitely would improve a lot. So what makes this one different than Codenames and Dixit? Well, unlike Codenames, you do not play in teams, and unlike Dixit, you try to guess other players’ words not just one, and trust me that is really exciting. And what make this little game clever is the deduction element that really really interesting. It is hidden in plain word guessing game. In this game players get 3 hint tokens with numbers 1 – 3. At their turn, they place their lowest number they have in one of the hint cards that describe their word. If the card already has a token, they need to place number 3 token below their token. So with this, others can check the priority of the choice. Its also about reading players and hey you can also learn English on the way (or Japanese). Another minor issue is that sometimes the hint cards are not matched or perfectly suitable with the words, but that can be define as challenging. You definitely can play this with 3 players, but in my opinion the game really shines with more players or max player count (6 players). A good solution is too make your own words and categories so the game feel fresh from time to time. So if you are into word games, fun party game with guessing something, this can be a nice choice to try. Though its not easy to get in Indonesia.